Despite repeated attempts to engage in meaningful discussion with Amazon they continue to sell products that defame our Irish heritage. Amazon often positions itself as a progressive, diverse, forward thinking company; this only makes their promoting products that denigrate Irish Americans more outrageous as it sends a clear message that they do not consider our heritage worthy of the courtesy they freely extend others. 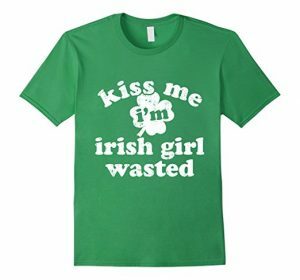 The hypocrisy of them promoting themselves as empowering women through sponsorship of “Girls that Code” while profiting off of shirts that say “Kiss me I’m an Irish Girl Wasted” is glaring. 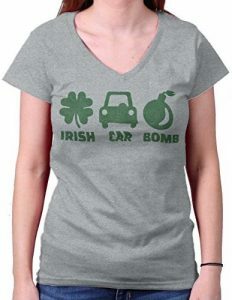 That they should trivialize the carnage of the troubles by describing an “Irish Car Bomb Shirt” as “funny” and “cute” is reprehensible. We ask you to please consider signing the below petition. When you sign a letter shall be sent to Amazon CEO Jeff Bezos telling him these products promoting 18th-century bigoted anti-Irish Stereotypes have no place in 21st century America. We do not ask for the Irish to be treated better than anyone else, but we demand they be treated no worse. Amazon, Products that Defame the Irish are "just wrong"
You have been quoted Mr. Bezos as saying “that diversity and inclusion are not just good for business, but simply right.” Should not those noble sentiments extend to include Irish Americans Mr. Bezos? I am appalled that Amazon which promotes itself as forward thinking 21st-century Company is selling products which perpetuate the bigoted stereotypes of the anti-immigrant "Know Nothings" of the 19th century. 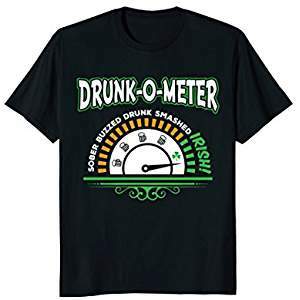 Amazon is currently selling items with phrases such as "Irish Today, Hungover Tomorrow", "I will be Irish in a Few Beers", a "Drunk O Meter Shirt" showing a gauge with settings "Sober", "Buzzed", "Drunk", "Smashed", "Irish", and other that conflate being Irish with drunkenness. Would Amazon sell these items Mr. Bezos if "Irish" were replaced with any other ethnic groups? If your answer is "No", then why does Amazon find it acceptable when the object of derision is someone of Irish Heritage? Ethnic-based stereotypes are wrong no matter which group is targeted Mr. Bezos. Even more offensive Mr. Bezos, Amazon lists several items making jokes of "Irish Car Bombs". Outrageously, these items are listed with keywords such as "Funny" and "Cute". There is nothing funny or cute about a Car Bomb Mr. Bezos. This is a despicable trivialization of the violence of "the Troubles" in Northern Ireland and is particularly tone-deaf given the recent violence in our own country. 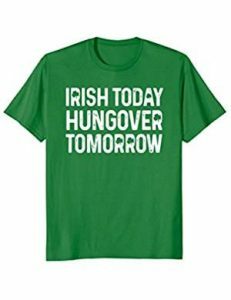 I respectfully ask that Amazon remove immediately all products that defame Irish Americans and issue a statement indicating that such demeaning products will no longer be promoted by Amazon in the future. Denigration of people of Irish Heritage is "simply wrong" Mr. Bezos.